With integrated CRM, projects, billing, help desk, reporting and collaboration, WORK[etc] is the single cloud computing platform. This means just one software solution for your entire business. One place for your team to collaborate. One place to sell, deliver and support customers. 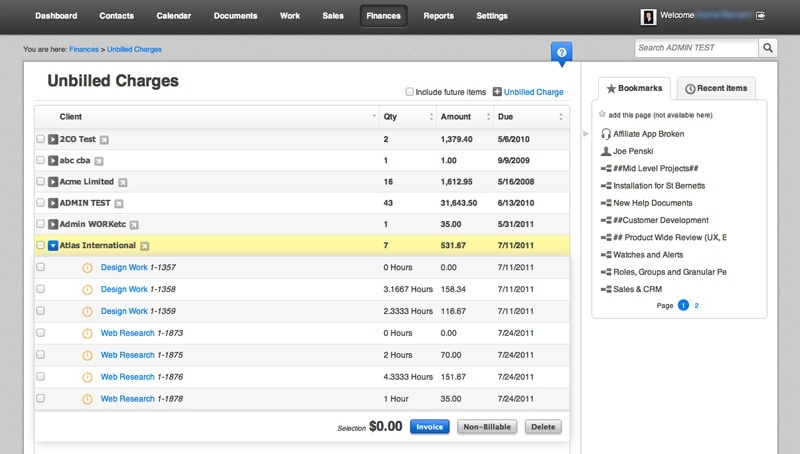 And with WORK[etc]'s cloud based web and mobile apps, you can manage your business at work, at home or on the road.